This weekend team Patchwork were super proud to be part of the Nu Bride Wedding Show. 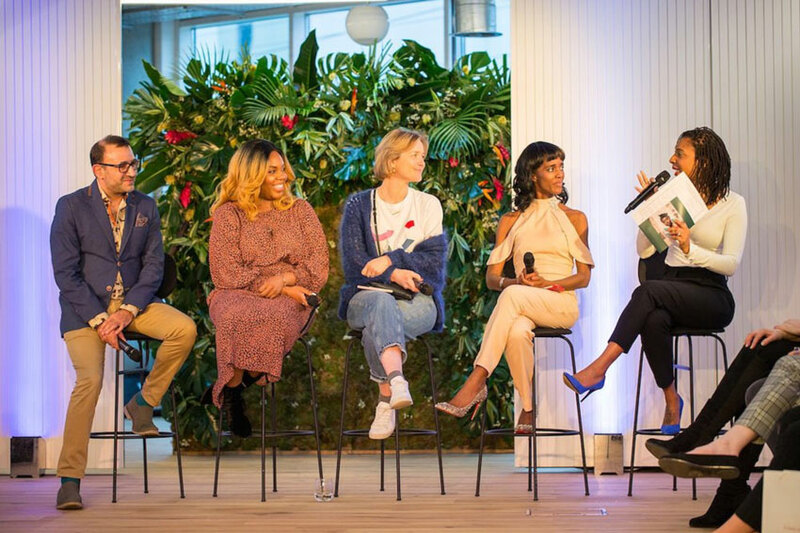 Conceived and curated by friend, founder of Nu Bride and diversity campaigner Nova Reid, it was the first wedding event of its kind designed for modern multi-cultural couples. Born out of frustration with the lack of diversity in the mainstream wedding media and national events, the show was an entirely inclusive, joyful and empowering experience for everyone involved. The show had been a long time in the making and came at great personal cost to Nova who produced it pretty much single-handedly. 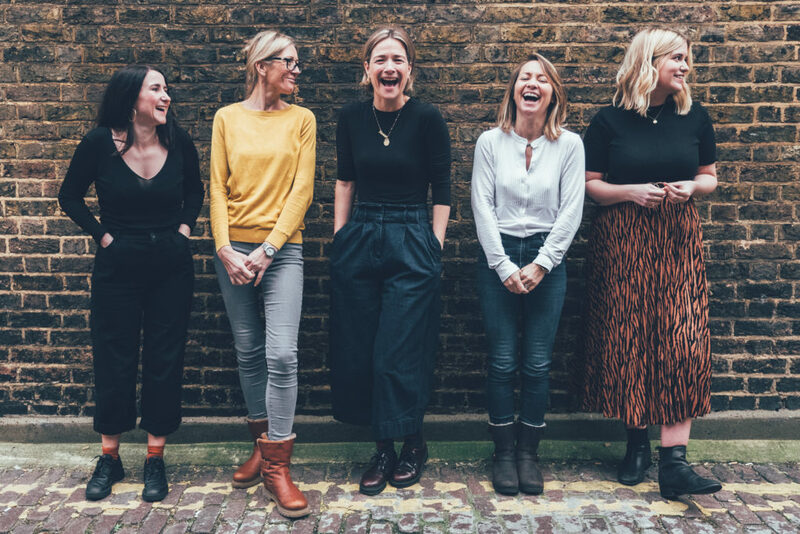 Supported by family, friends and a selection of committed suppliers, bloggers and journalists, the event did not find the mainstream funding or support from the wedding media that it deserved. So while we celebrate the success of the show and hope this really is the beginning of a change that we desperately need in the wedding industry. One event, even if we can persuade Nova to do it all again every year, is not enough. Why me? Why now? What can we do? In the last few years that I’ve been building my wedding business I’ve not spoken out against the obvious and offensive lack of race diversity in our industry because as a white woman I guess I thought it wasn’t my place. I now realise that is a huge part of the problem. 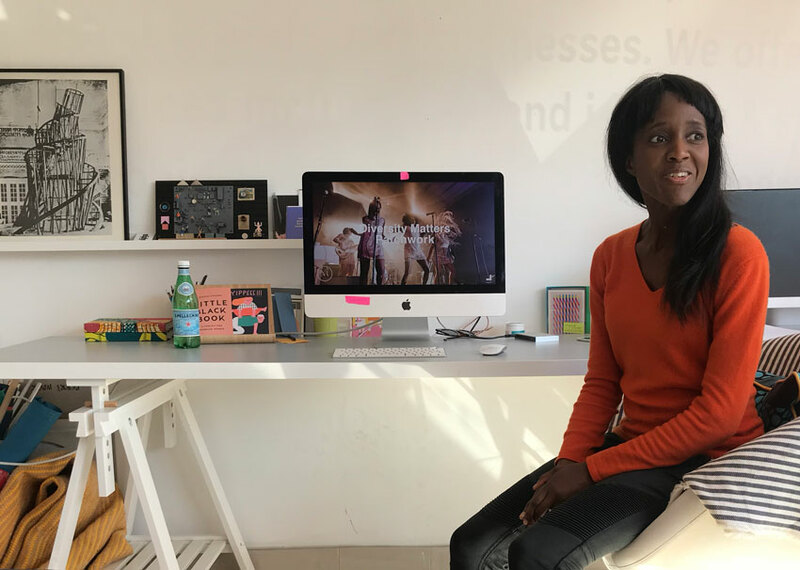 So I just want to share my experience working in the wedding industry and some things I’ve learnt to suggest a few ways that white people can usefully support the work already being done by BAME industry experts, entrepreneurs, influencers, educators and activists to promote diversity and inclusion in the wedding industry. 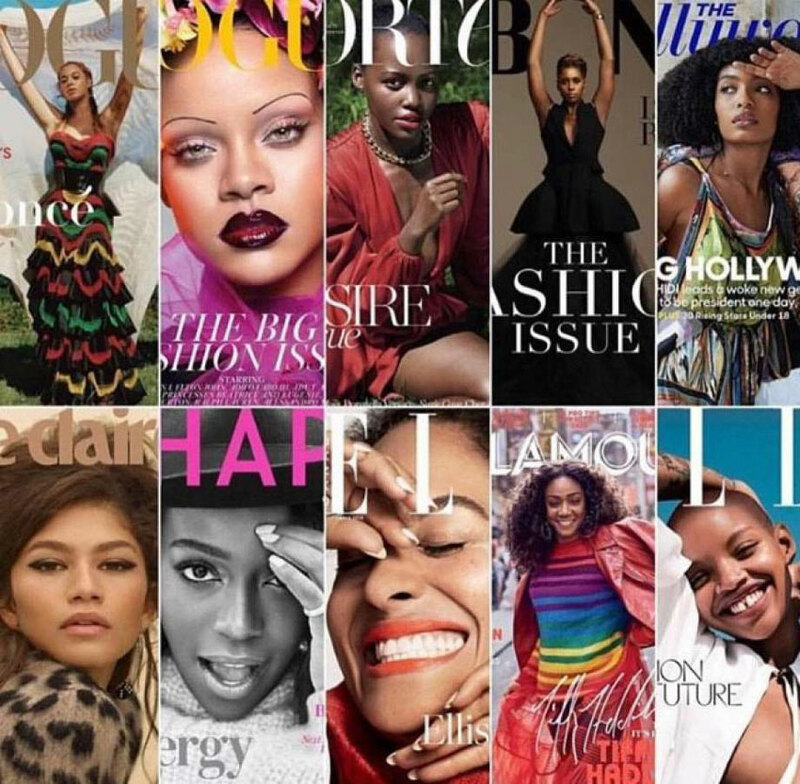 Last year a handful of women’s magazines took Edward Enninful’s lead and followed Vogue in featuring black women on their covers – for the first time ever. A fact that’s been rightly celebrated. Of course it’s noted because it’s still not ‘normal’. And that’s the problem. But, still, such editorial decisions are important and impactful and therefore do need to be congratulated. Not by way of gratitude but as a way to encourage further progress. Share a brand’s image or story on social media, recommend their product, service or publication to friends and tag the brand with a positive comment. Show them that improving diversity directly increases user engagement and reach. Put your money where your mouth is. Social currency is good but commercial returns are still what drive decisions. When it comes to mainstream wedding magazines for example, many editors are still using the excuse that “black women don’t sell”. So if we want to see a change we have to help drive it. If you see a wedding magazine with a person of colour on the cover. Buy it! It’s an easy and inexpensive piece of direct action that we can all individually do. And collectively it sends a message and can make a real difference. 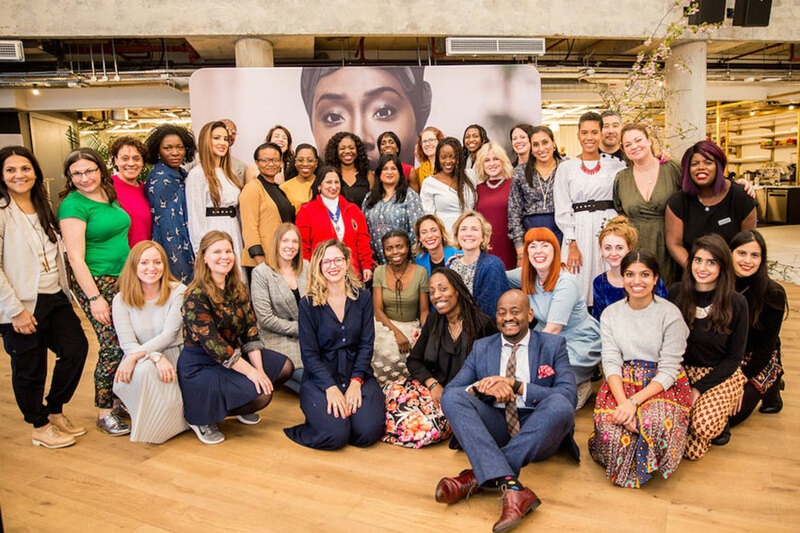 Contact the brand owner, event organiser, photographer, journalist or editor personally to acknowledge, appreciate and support genuine intentions and meaningful action to improve diversity. When people with the power to influence others take an authentic decision to be more genuinely inclusive it’s important we let them know we notice. As a thank you but also so they know that we see and understand their power and hold them to account for the decisions they make. So 2018 was the year of Meghan and Harry’s wedding and that changed everything right? Definitely not. Of course every second of the Royal Wedding was dissected by the world’s media with commentators discussing everything from fascinators to feminism, cake recipes to race relations. 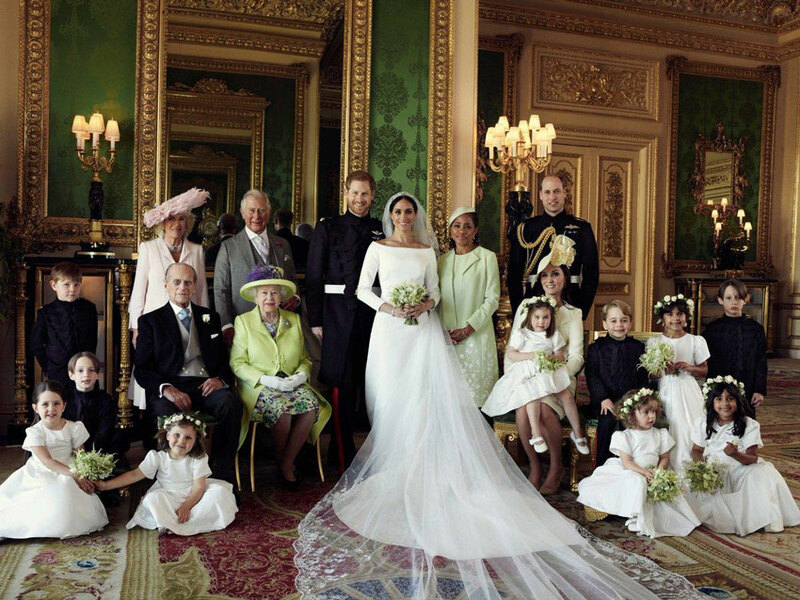 But as Nova Reid, diversity consultant and founder of Nu Bride wedding blog, points out, the Royal Wedding was at the same time the beginning and the end of a much needed conversation about race in the wedding media and beyond. It is absolutely crucial that as citizens, consumers, brand owners and commentators that we reject this kind of moral licensing. We have to ensure that ‘morally good’ symbolic moments don’t become the very things that serve to stifle real and meaningful debate, action and change. Yes Meghan and Harry’s marriage was something to celebrate but we want and need more than just one wedding, more than a ‘racially ambiguous’ and ‘acceptable’ face to represent blackness, we want to celebrate more than just one extremely privileged ‘princess’. We want and need real, meaningful representation and inclusion in the wedding industry (and beyond) that reflects our everyday reality. And as an industry insider it’s easy to see why the traditional wedding media is still so stuck on an unrepresentative and outdated white wedding narrative. The thing is it’s overwhelmingly young white women (usually those whose families can afford for them to start out doing free internships) who are producing most of the media content we consume, so white privilege and racial bias is a fundamental factor. If you talk to people about it they’ll often make excuses and it is important we address real barriers (below). Publicly let people and brands know if you feel they are producing events, content, communication and/or products that exclude BAME people and ask them to explain their decisions. 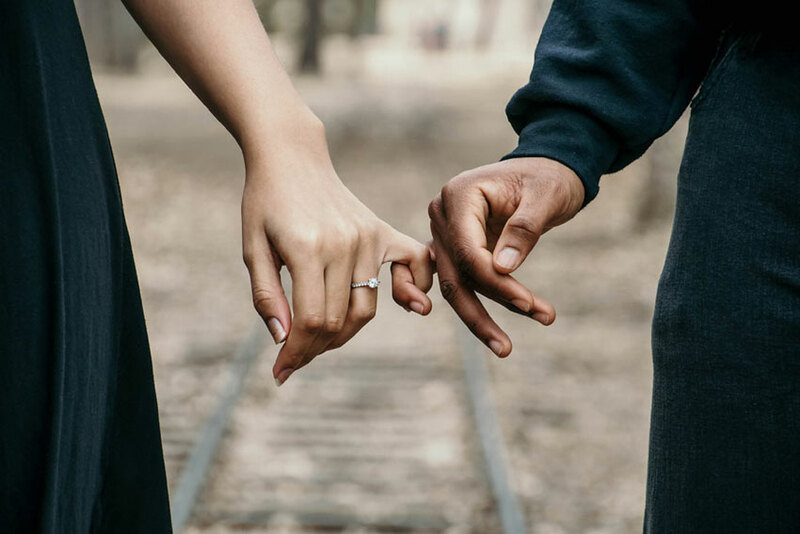 Suggest BAME experts, brand partners, real life weddings, stories and/or stock image sites that might help them to improve diversity and become more inclusive. Recommend and tag brands in their category that celebrate and embrace diversity to show them what good looks like and remind them that being inclusive brings a competitive advantage. Of course there are always barriers in the way of progress. Like most small-medium sized businesses my company Patchwork doesn’t have advertising budgets that stretch to casting agencies and models and creative direction and styling and photography. Like most independent businesses we rely heavily on free stock photography which is another industry that has a huge problem with diversity. When we built our prototype platform in 2014 the total absence of good quality BAME imagery on free stock sites meant we resorted to stealing Beyonce’s feet, Kelly Rowland’s hands and Jay Z’s legs to use on our site. We literally zoomed in on photos that were available of famous black celebrities, cropped them and used them – hoping if we got caught at least being sued by Beyonce would raise awareness of the issue. We also asked friends if we could use their own personal images and then invested the small budgets we did have for super expensive ‘niche’ BAME stock photography. Don’t let the availability of imagery be an excuse. Check out the culturally diverse stock sites listed here by Jenni Brown. As a small female led team of five white straight people our current team definitely doesn’t represent the diverse audience we serve. Of course as our team grows we’ll have the opportunity to address this imbalance but in the meantime we need to ensure our existing team is doing everything we can to improve diversity and inclusion whilst recognising our own white privilege and bias. For us, part of this process was acknowledging that we can’t just ‘try to imagine’ the experience, problems, challenges and issues faced by BAME people and then just ‘try harder’ to do better. Just like in any other area of our business where we lack the personal experience or professional expertise within our team to address a serious business challenge (or opportunity) we recognise the need to invest in external talent – to hire people with the insights, experience and expertise to help. I’m not saying the decision came easily. I’d been speaking to Diversity Consultant Nova Reid for a while trying to work out when we could commit to her programme and how I would pay for it given our shoestring budgets and existing commitments. And then I heard myself apologising to Nova about how the project ‘kept slipping down the list’ and the full force of this statement hit me. BAME people are always ‘put to the bottom of the list’ in life and in business and until we decide to put diversity and inclusion at the top of the list things aren’t going to change. We’d actually just had the worst month and now was exactly the ‘worst’ time to commit but I decided to pay up and book the session on the spot. She had the same advice in our discussions about hashtags. For years we’ve been deliberately not tagging instagram images with relevant hashtags because we felt we shouldn’t have to label a #blackbride as this surely highlighted them as an ‘other’? We thought ensuring our feed was diverse without labels was the best way to demonstrate the equality and inclusivity we want to see in the world. But of course as Nova pointed out, all is not yet equal – far from it! Not including relevant hashtags might make white people feel better and enable us to pretend we’re all equal. But it doesn’t help black people trying to find brands that reflect and represent them by using hashtags to find them. So be useful. Be open, honest and direct about your intentions to improve diversity and ask for help. Don’t do things that make you feel good. Do things that actually help. Finally, white people have automatic societal privilege, access and influence. So it’s crucial we use our voices and our actions to make a difference. Don’t be frightened to support BAME people because you don’t feel ‘qualified’. Be proud to be a white ally. Of course you can only speak from your position of privilege and never on behalf of anyone else. But that doesn’t mean you can’t get involved in the conversation, join debates, attend events and take action to show your solidarity in whatever way you can. “Our lives begin to end the day we become silent about things that matter.” Martin Luther King.